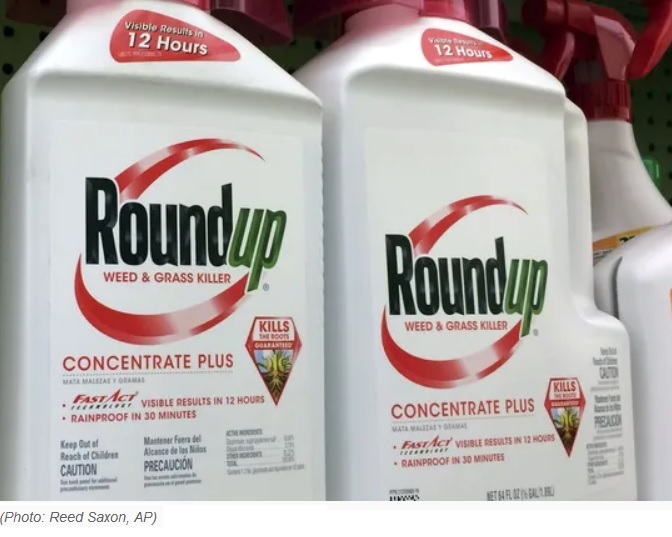 A jury awarded $81 million in damages to a man who claimed that Roundup, a weedkiller sold by Bayer AG, caused his non-Hodgkins lymphoma, Reuters said Wednesday. The six-person jury in the U.S. District Court in San Francisco ordered Bayer to pay Edwin Hardeman $75 million in punitive damages and $5.9 million in compensatory damages, along with $200,000 in medical costs. Bayer bought Monsanto, which made and sold Roundup, for $66 billion last year, after which it retired the Monsanto brand. The award comes one week after the same jury found, following a month-long trial, that Bayer’s Roundup played a substantial role in Hardeman’s cancer. The judge overseeing the case is also handling hundreds of other Roundup lawsuits. In total, Bayer is facing more than 11,200 lawsuits over the use of glyphosate in its products. The verdict marks the second trial Bayer has lost over Roundup’s health risks. Last August, another jury awarded another plaintiff, a former school groundskeeper named Dewayne Johnson, $289 million in damages. Johnson also claimed that Roundup had a design defect that Monsanto didn’t adequately warn consumer about. The judge in the most recent lawsuit against Monsanto (now owned by Bayer AgriChemicals…yes, the aspirin people) for their Round-Up weedkiller containing glyphosate said this is a bellwether case (trend setting) and it very likely will be…rather than settling, attorneys representing cancer victims previously exposed to Round-Up will likely continue to push forward for jury trials. This encouraging outcome occurred today despite the fact that a previous judge (Bolanos) in San Francisco this past summer slashed the jury’s award of $289 million dollars to another groundskeeper with cancer down to $79 million. SAN FRANCISCO (AP) – Roundup weed killer was a substantial factor in a California man’s cancer, a jury determined Tuesday in the first phase of a trial that attorneys said could help determine the fate of hundreds of similar lawsuits.